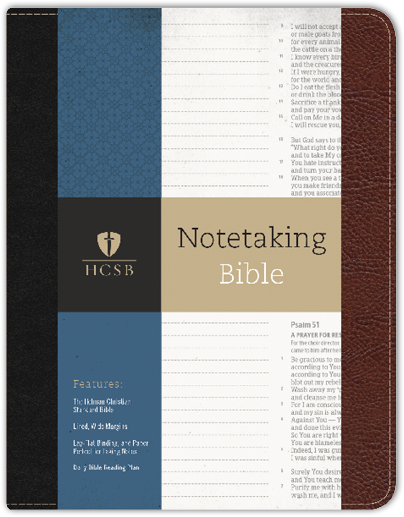 The HCSB, KJV and NKJV Notetaking Bibles are designed to enhance personal Bible study as well as preparation for teaching and preaching. 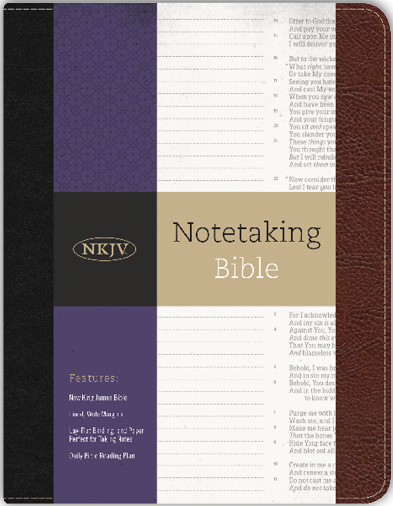 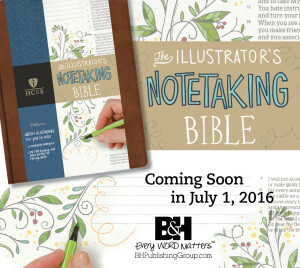 Whether you are completing in depth Bible study or creating beautiful drawings this Bible seeks to be a powerful ministry tool. 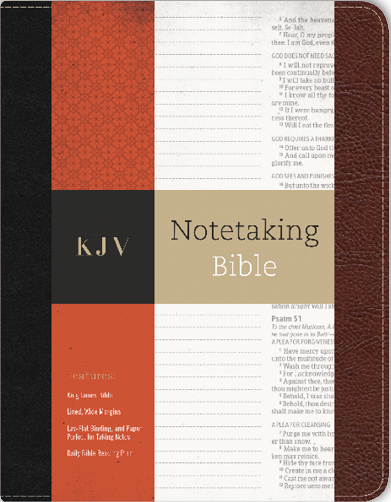 These Bibles contain either the full text of the HCSB, NKJV or KJV in a single-column setting. 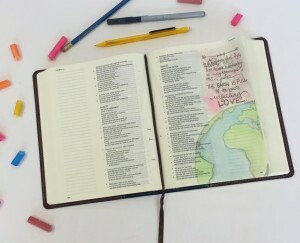 Abundant space is provided on each page to make observations, record insights, raise questions, and suggest to yourself additional exploration of the text. 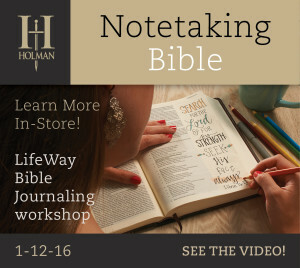 The Bible includes a 40-page concordance, eight fourcolor maps, a one-year Bible reading plan, presentation page, and an introduction to the Holman Christian Standard Bible.